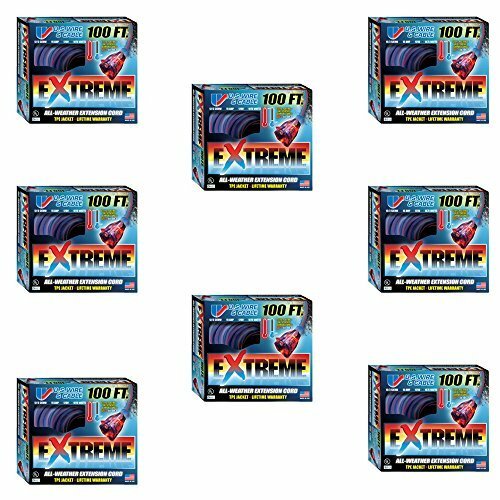 The EXTREME All-Weather Extension Cord is constructed of 100% TPE (thermo-plastic elastometer) compound which guarantees maximum flexibility as well as abrasion and oil resistance. Furthermore, the TPE compound provides a lightweight, tangle-free construction to the EXTREME cord, not commonly found on most standard PVC cords. Tested in some of the harshest weather conditions in Alaska, the EXTREME All-Weather Extension Cord is designed for durability to last a lifetime! STAYS FLEXIBLE IN EXTREME TEMPERATURES! (221?F to -94?F). View More In Extension Cords. If you have any questions about this product by US Wire, contact us by completing and submitting the form below. If you are looking for a specif part number, please include it with your message.